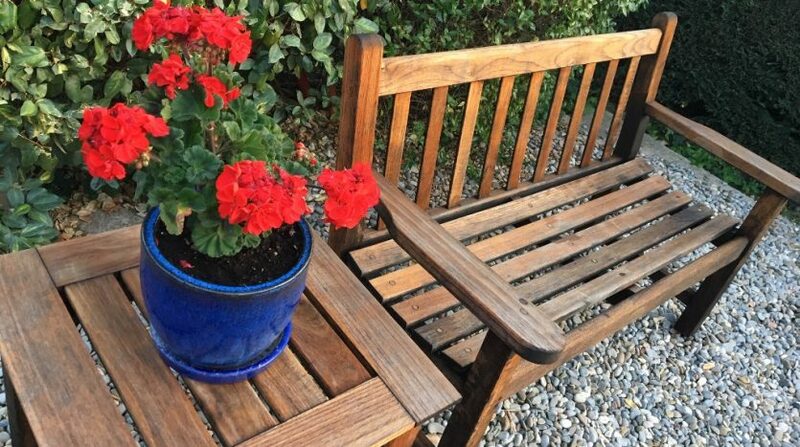 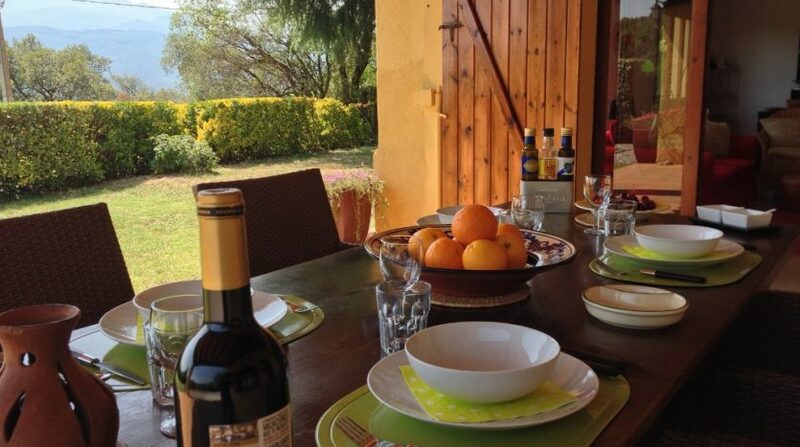 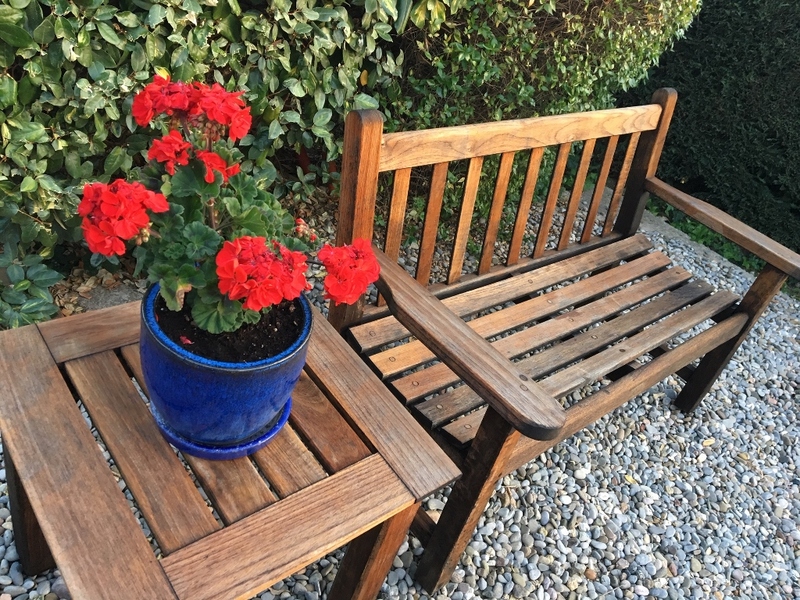 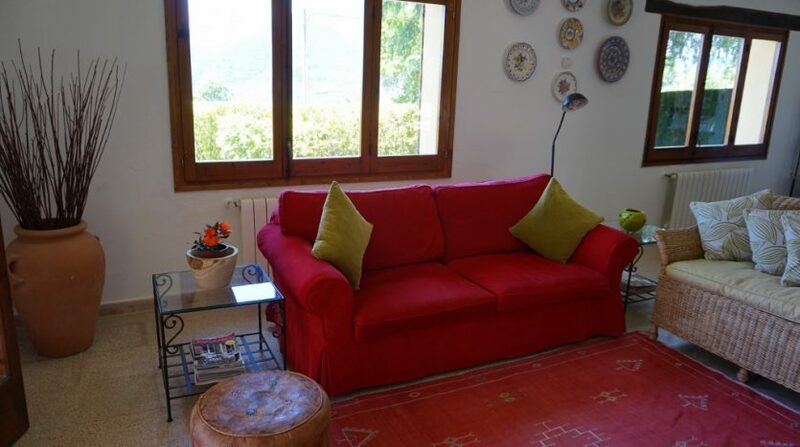 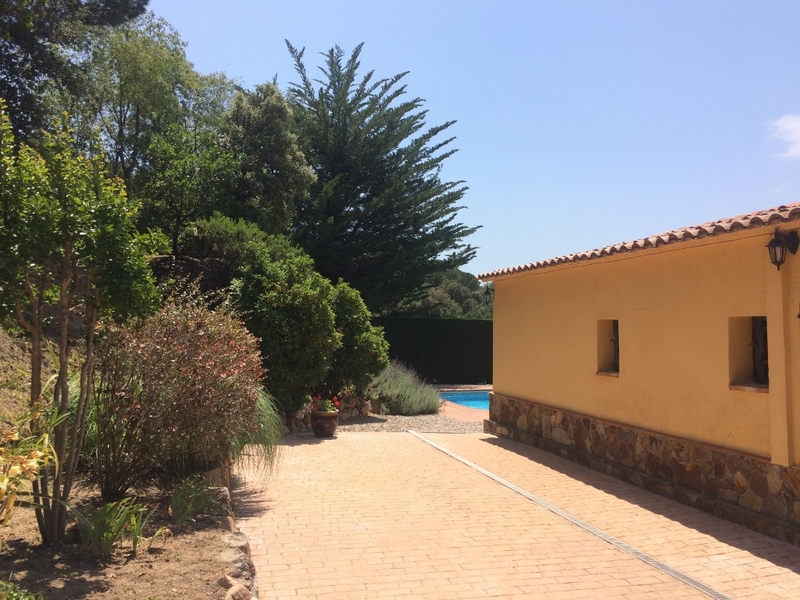 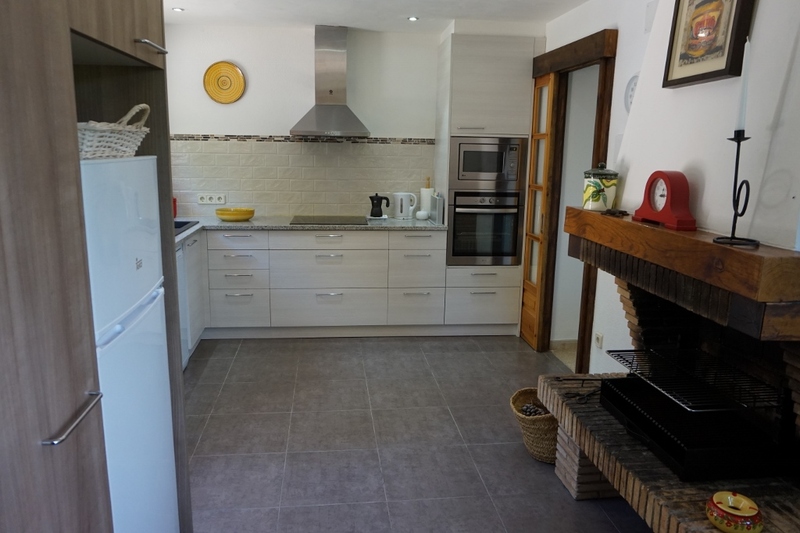 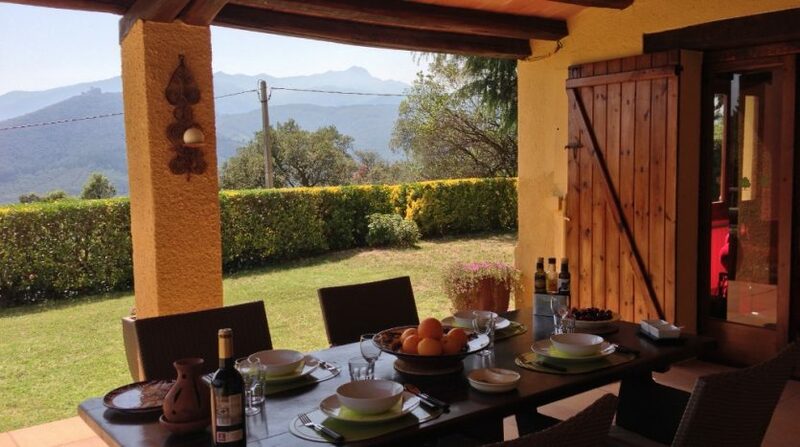 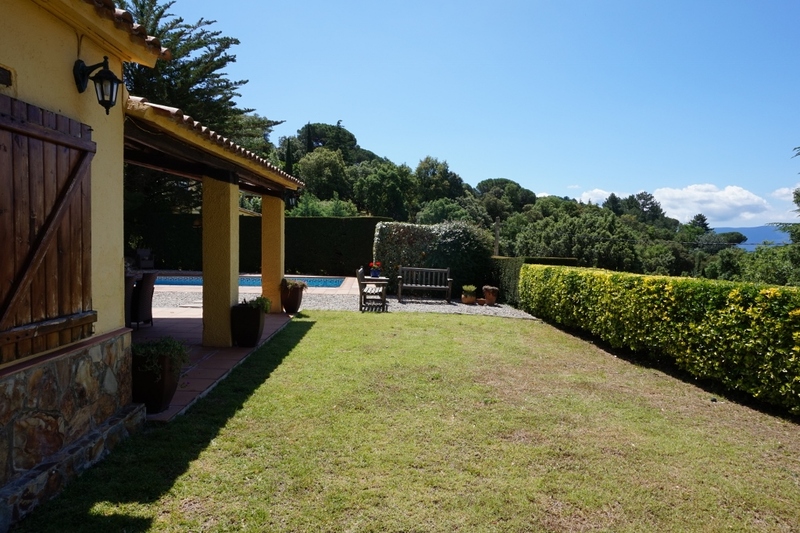 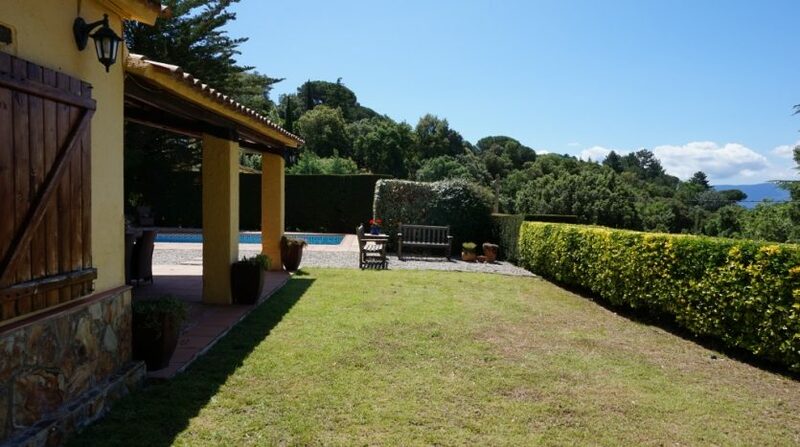 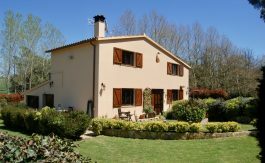 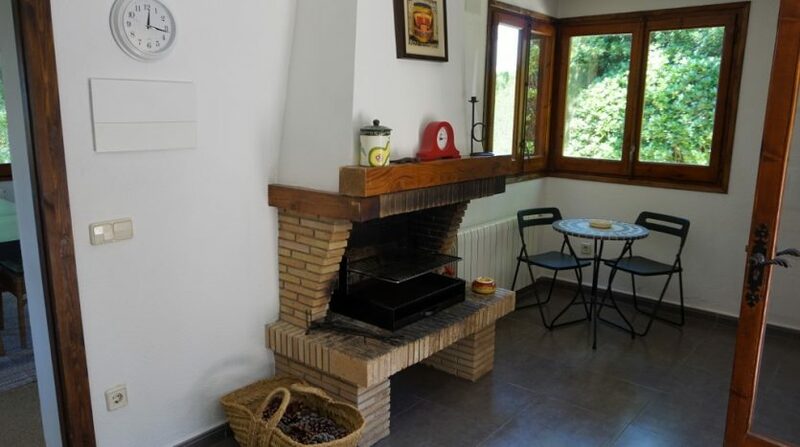 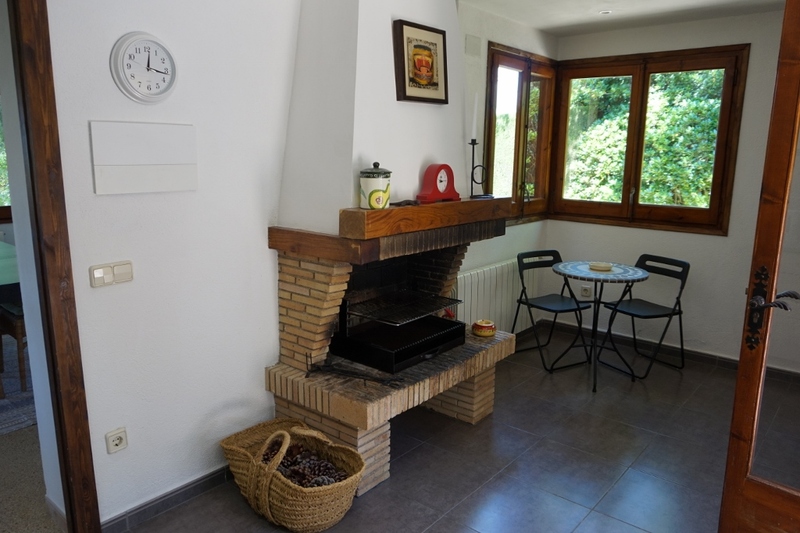 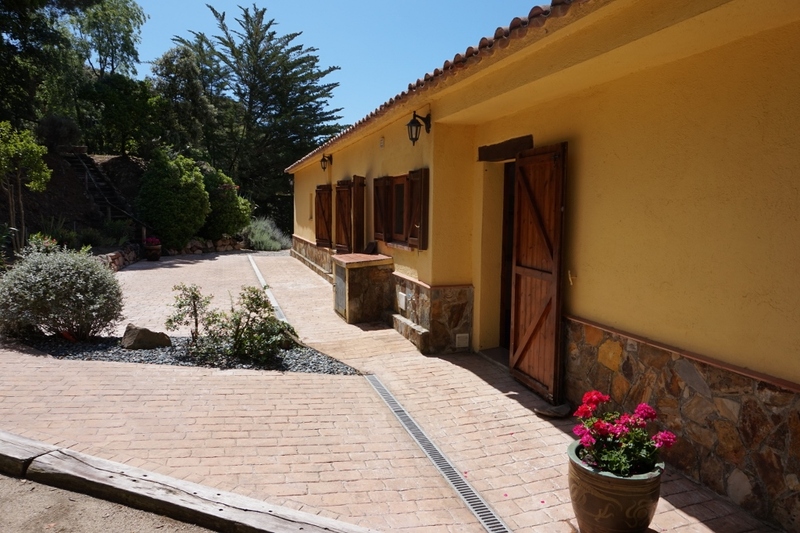 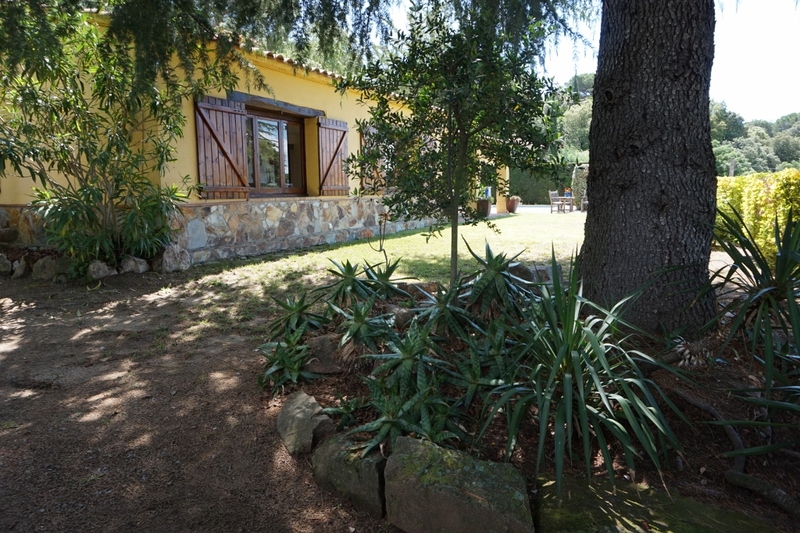 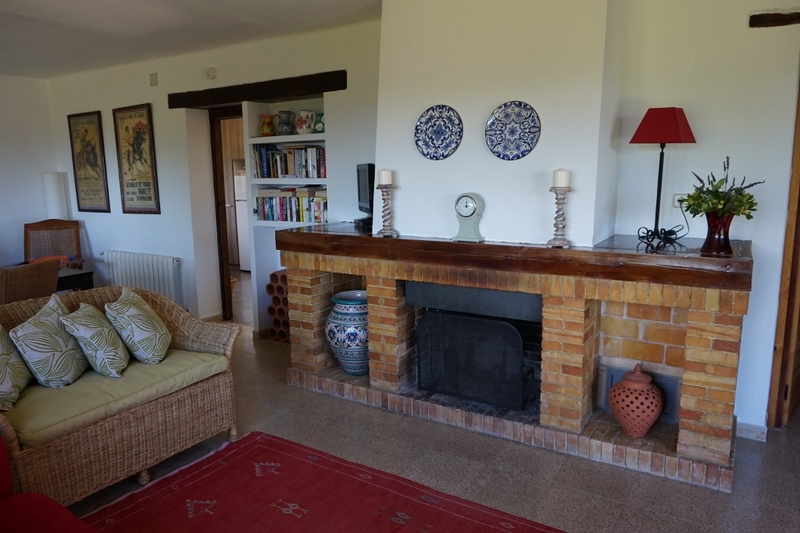 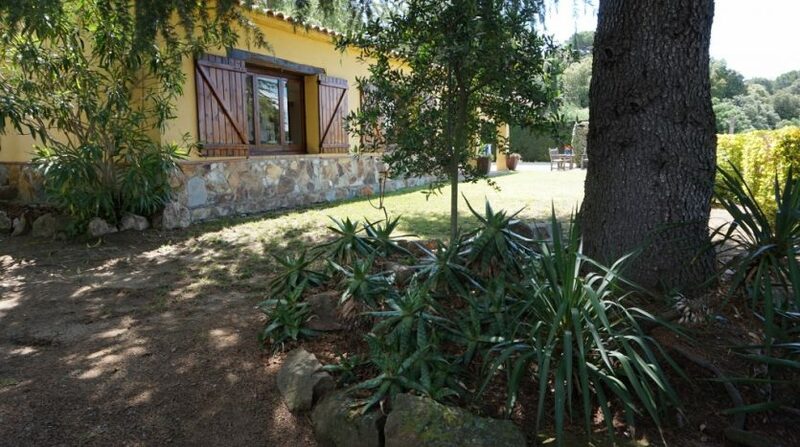 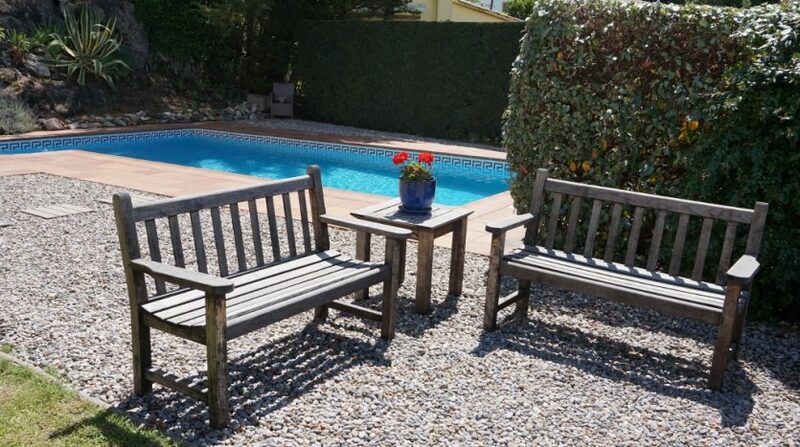 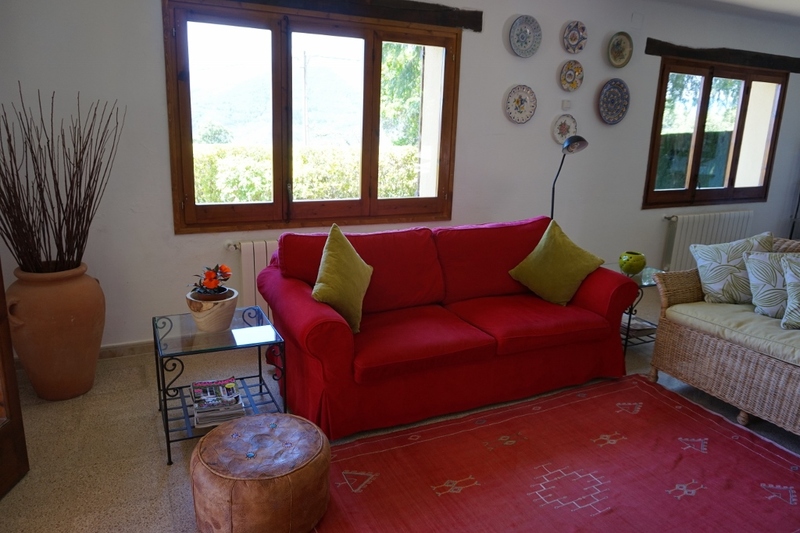 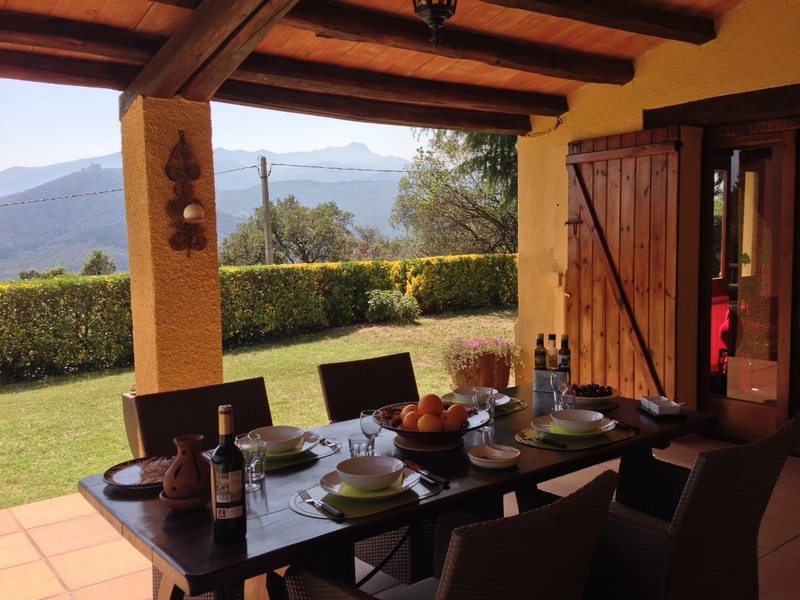 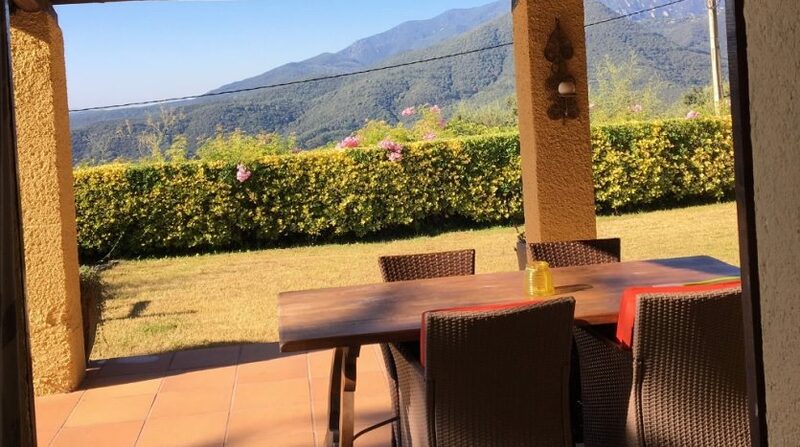 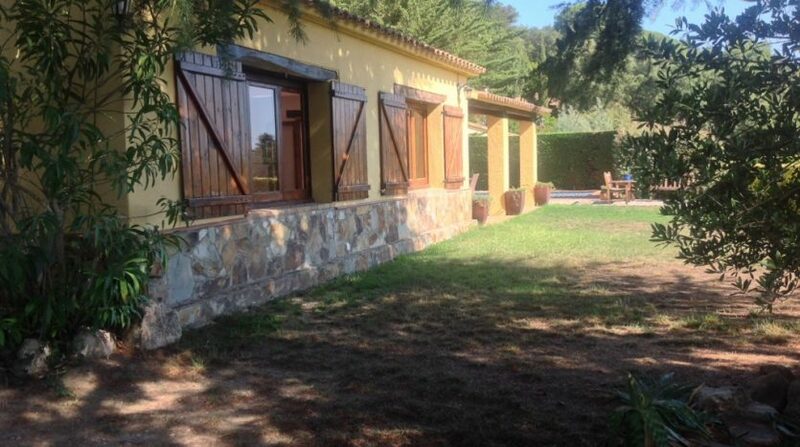 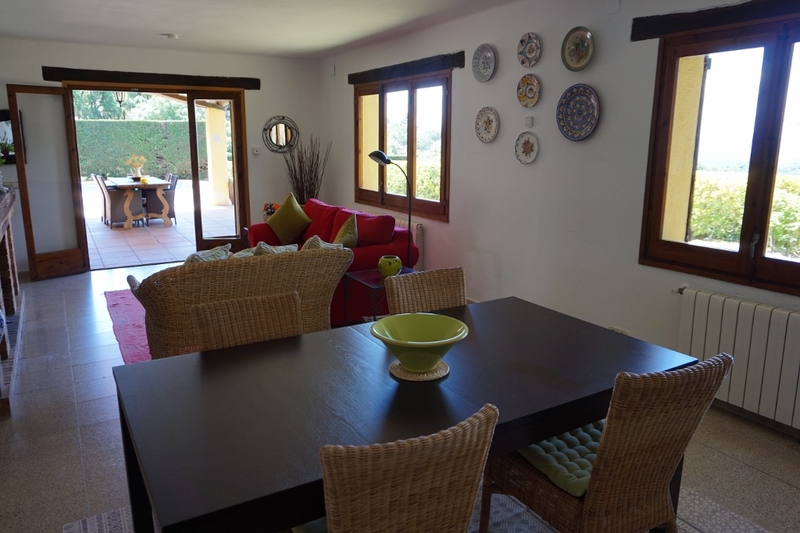 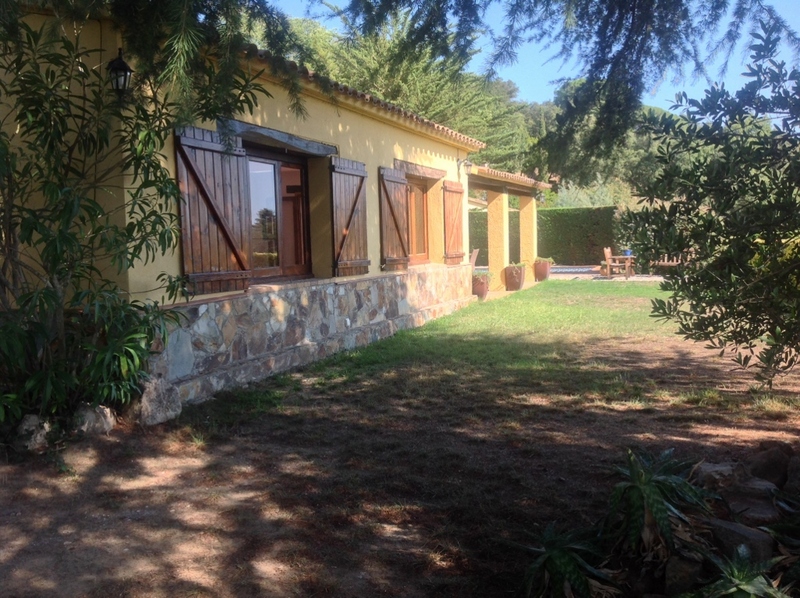 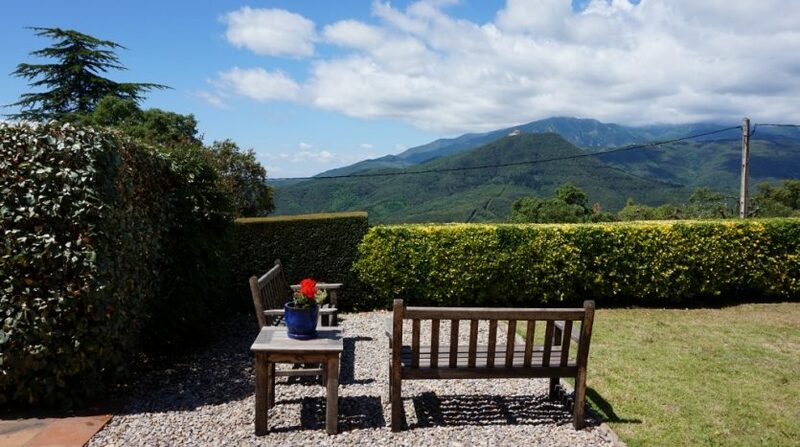 This beautifully presented 2 bedroom detached cottage is located within an established and very prestigious rural urbanization just outside the small hamlet of Sant Feliu de Buixalleu which is midway between Girona and Barcelona. 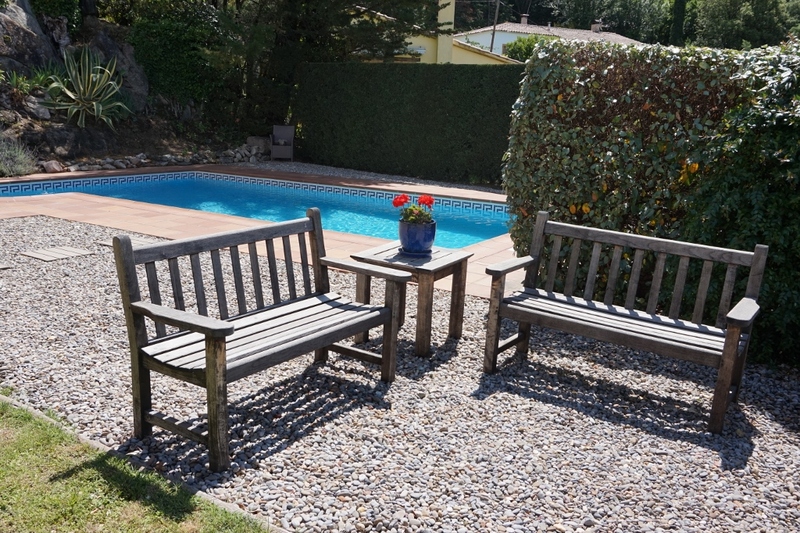 The property is located on Urban land and the urbanization comes with a variety of amenities including a huge community swimming pool, tennis courts, a clubhouse and gardens. 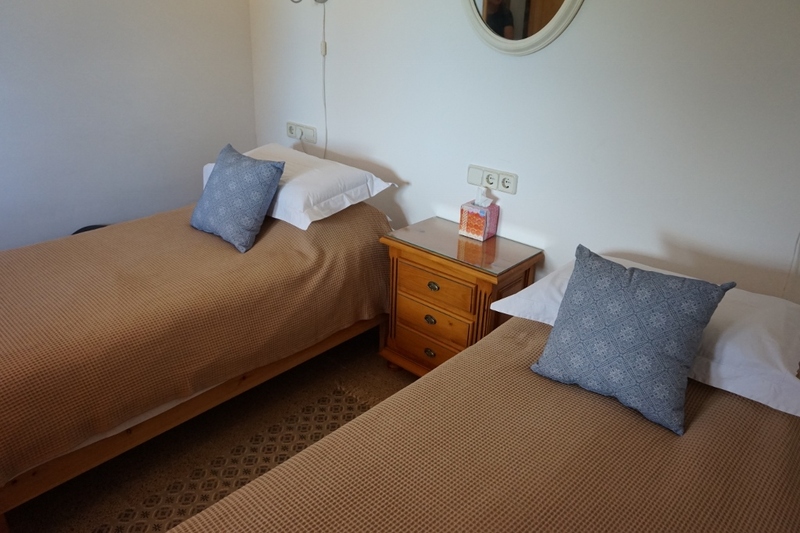 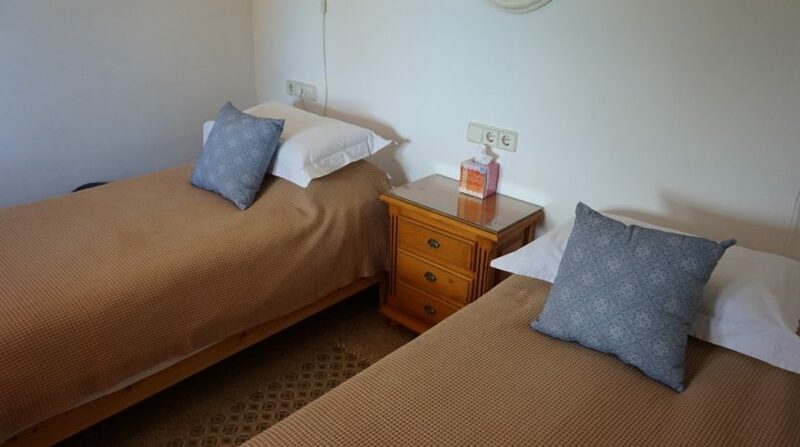 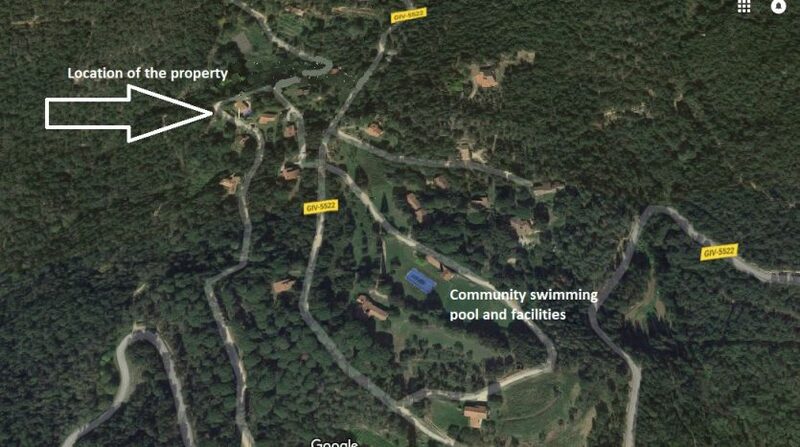 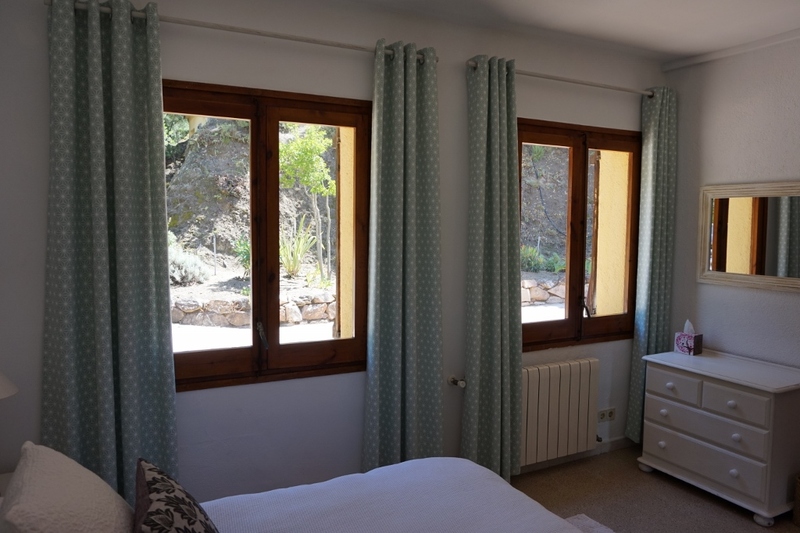 These facilities are available at a small cost to all residents, many of whom are locals from Girona and Barcelona who own a holiday home here. 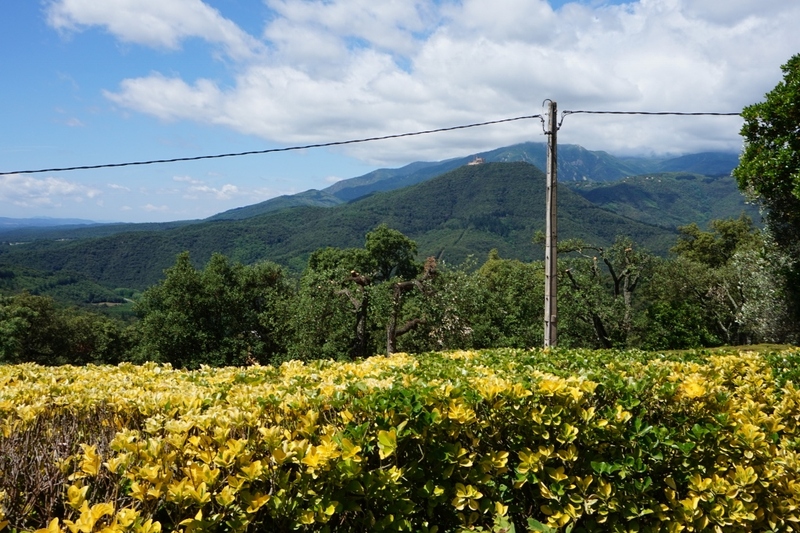 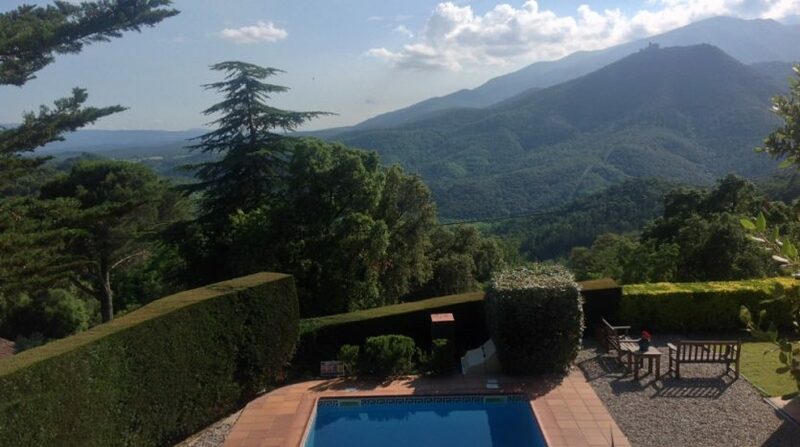 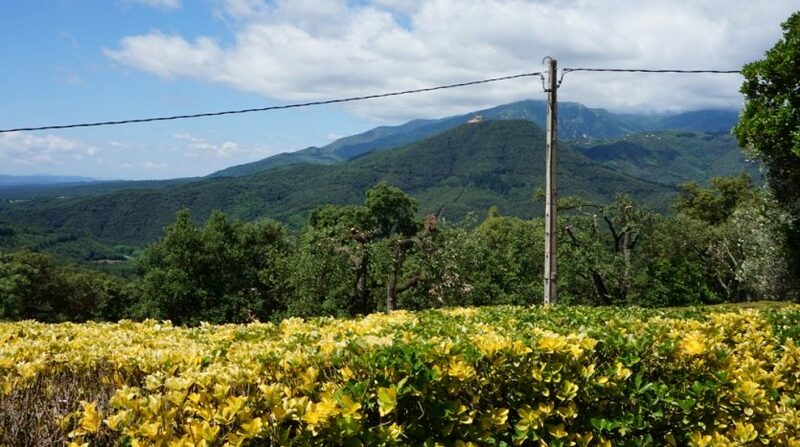 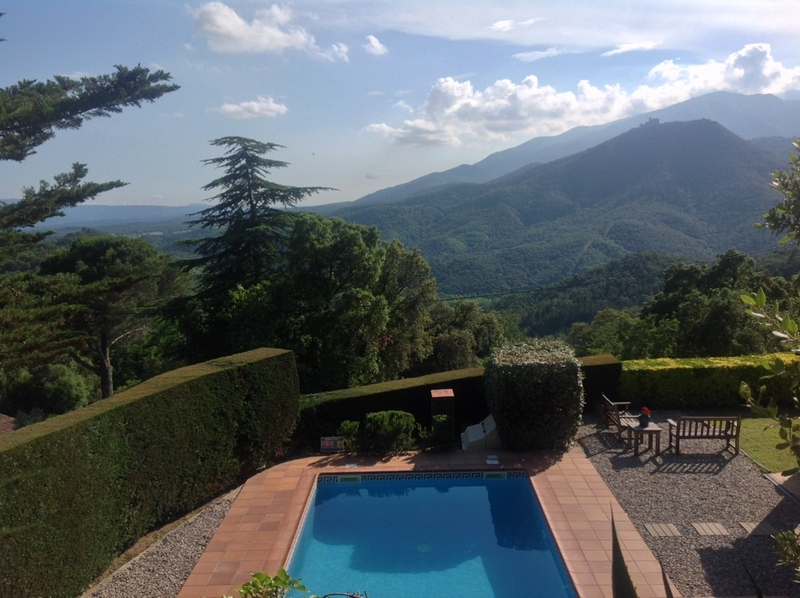 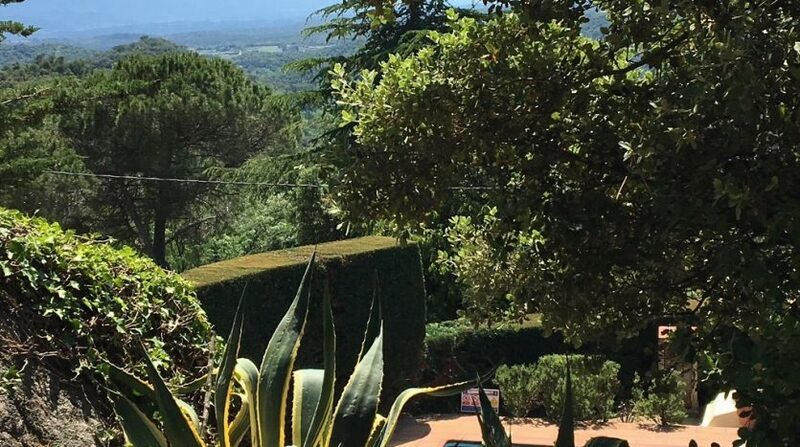 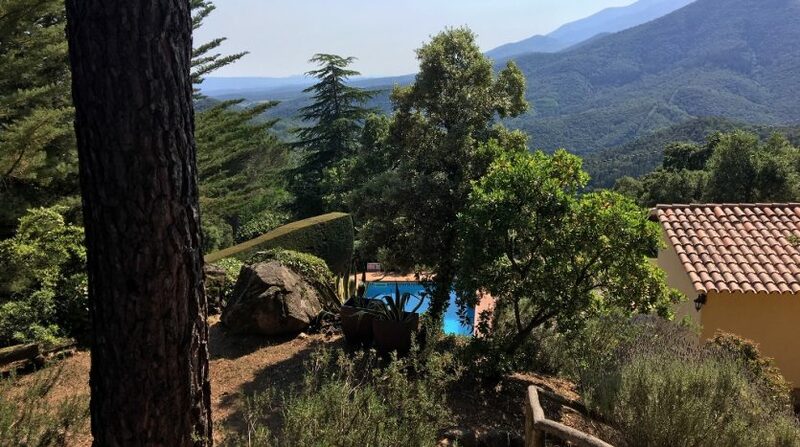 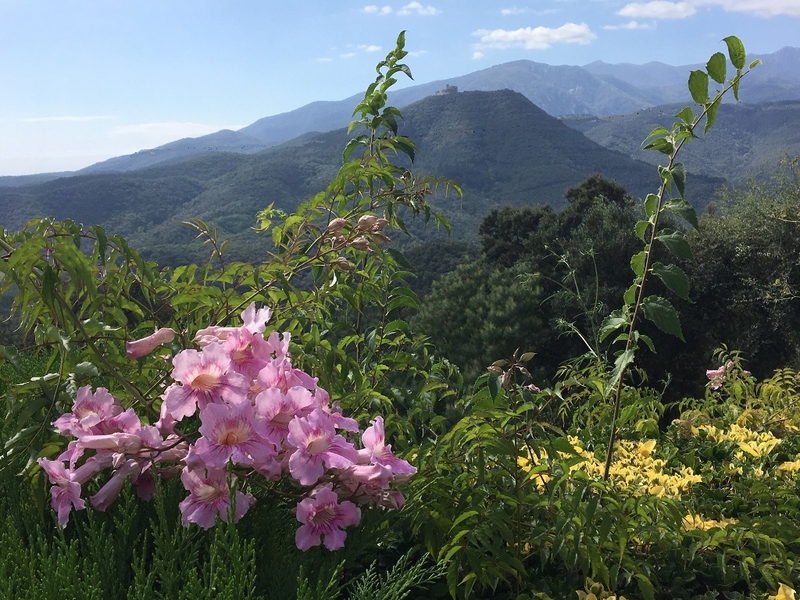 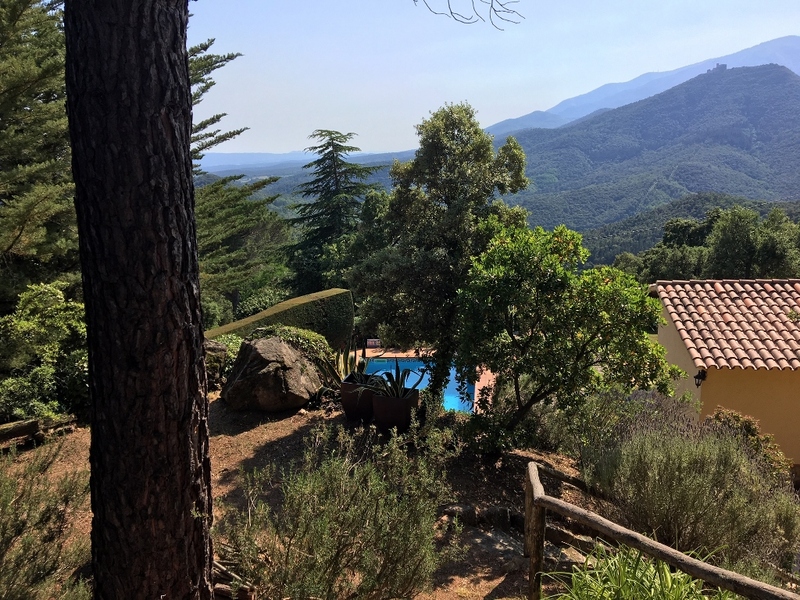 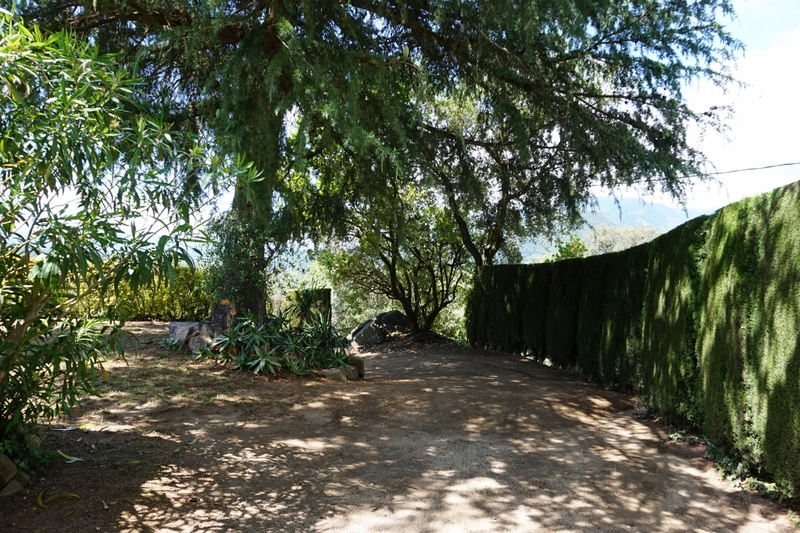 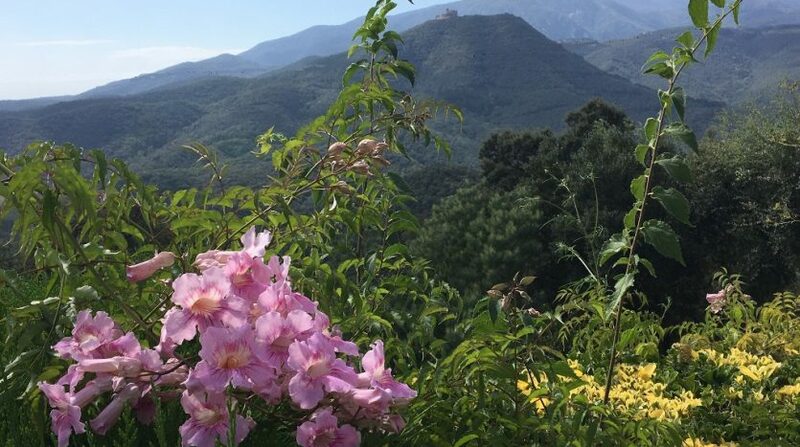 The property itself is set within grounds of 2,200M2 of land surrounded by mature plants and trees to ensure privacy and seclusion but the hillside location allows spectacular views across the valley to the Montseny Natural Park. 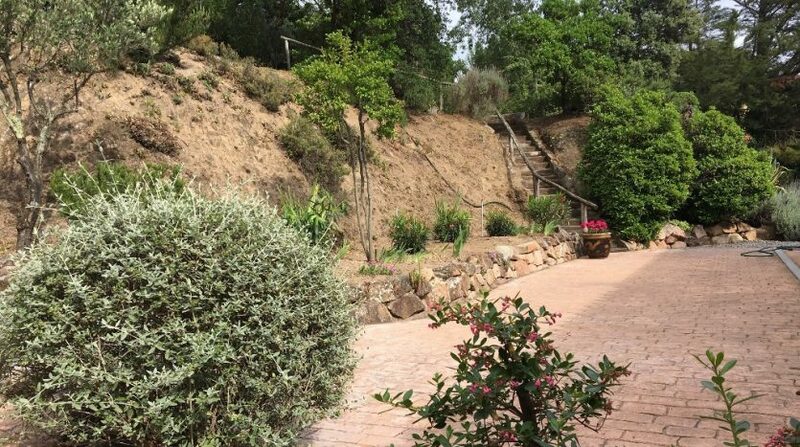 The property offers the perfect mix of countryside living without the isolation and complications of owning a property on rustic land. 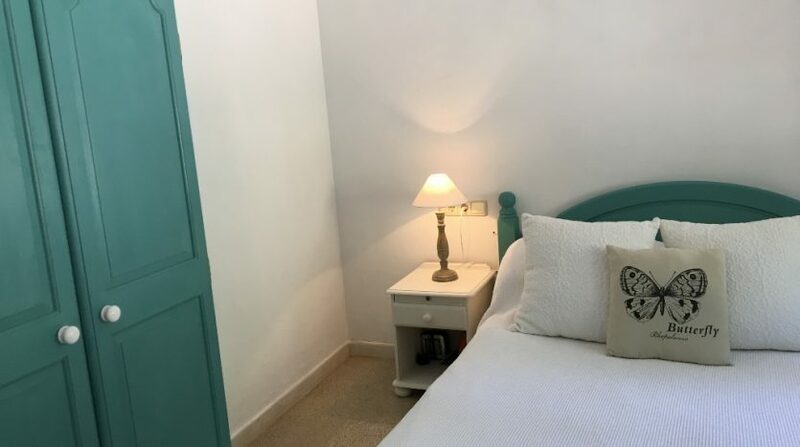 It is also the perfect way to enjoy the best of this popular region including the many beaches, resort towns and larger cities of the Costa Brava. 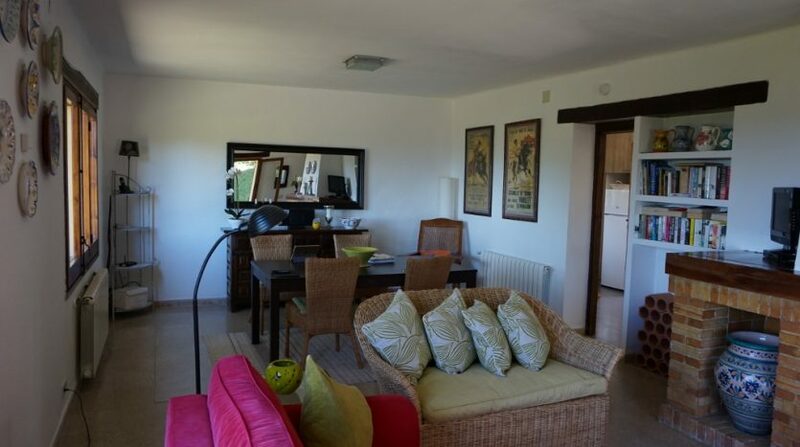 Living/dining room – a spacious room with dual aspect and a light, bright feeling with incredible views. 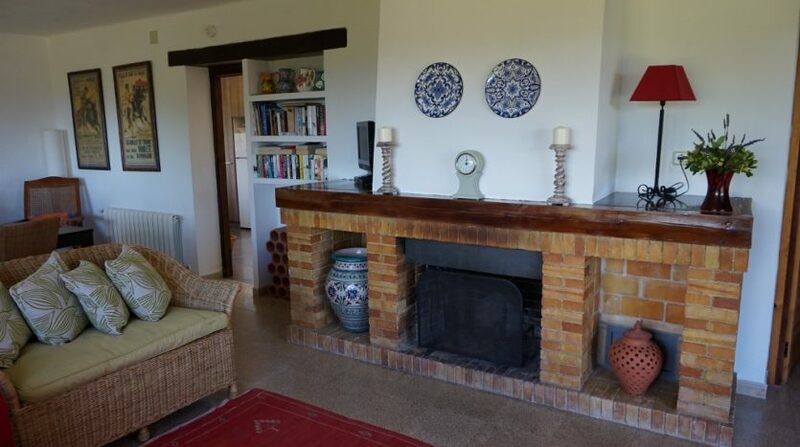 The room benefits from an open fireplace and French doors which lead onto a covered terrace – the perfect link between inside and outside spaces. 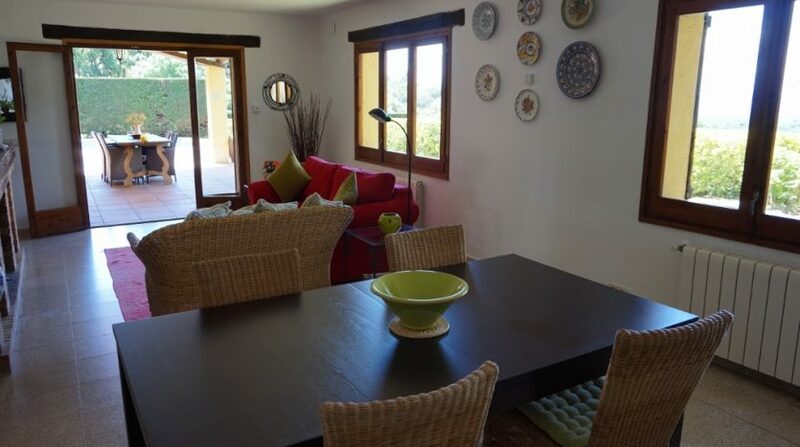 The dining area has a sliding door leading into the kitchen. 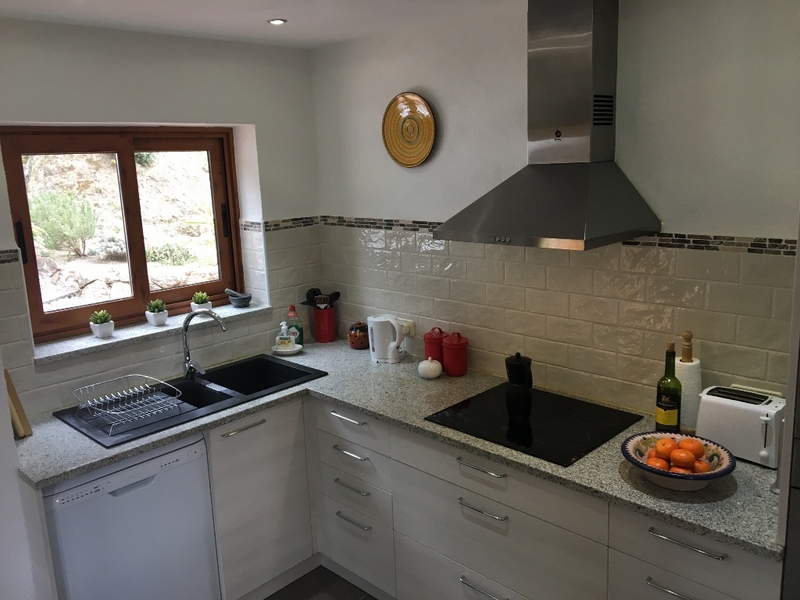 The kitchen – fully fitted modern kitchen with breakfast area and open fireplace with plenty of storage units, LED ceiling lights, granite work surface, tiled floor with exterior glass door leading out to the rear garden. 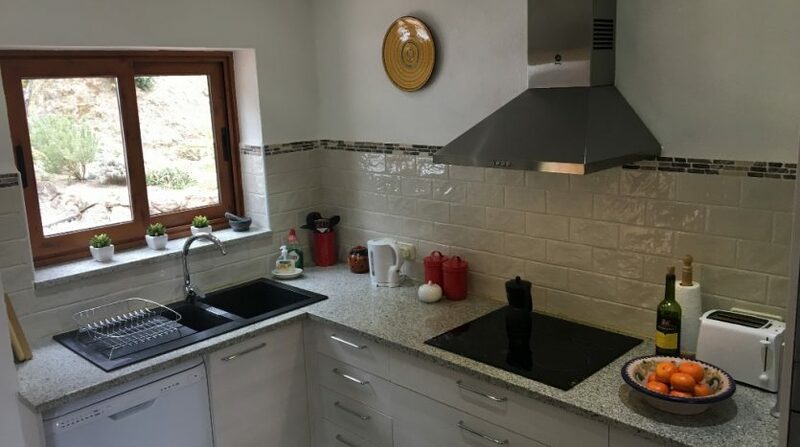 LG appliances, including a double oven, electric induction hob, microwave, 1½ bowl Franke kitchen sink and fridge freezer. 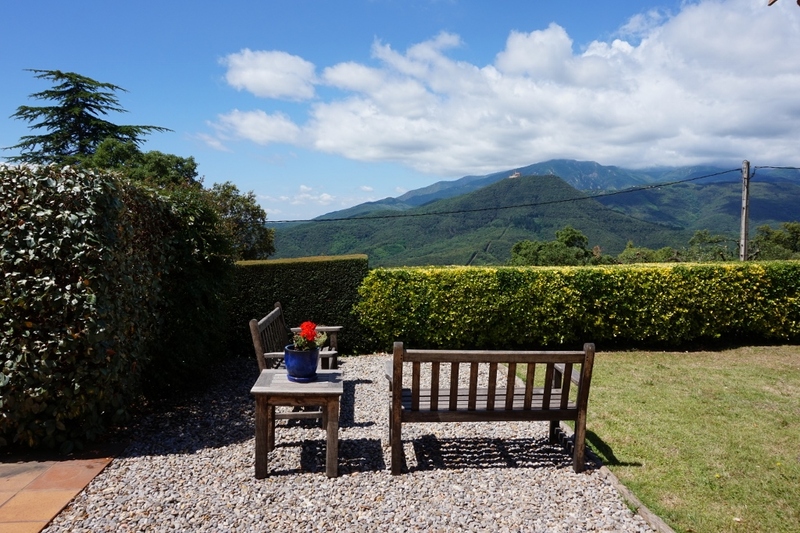 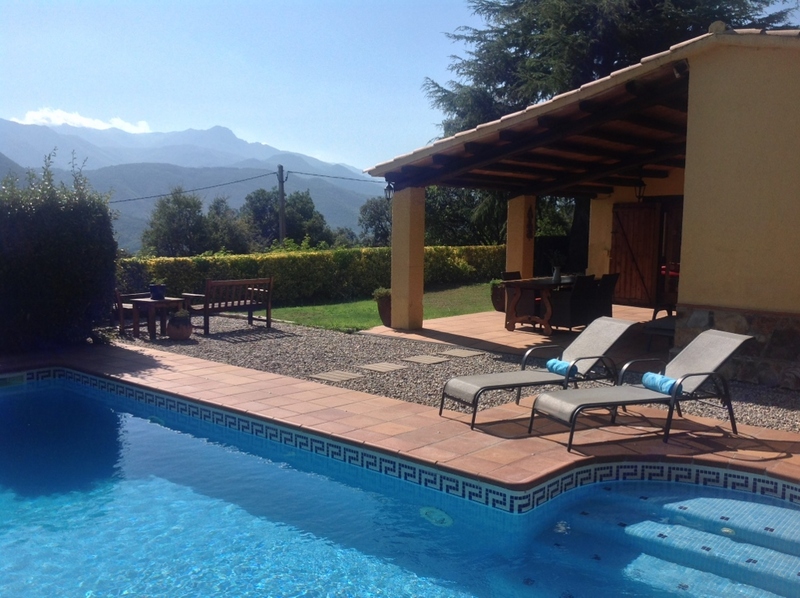 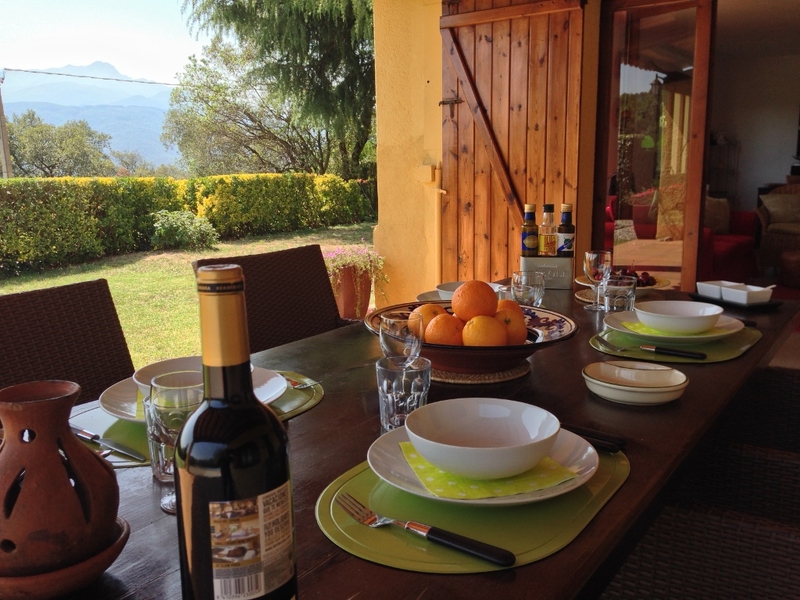 Covered Terrace – this is a great space for relaxing and dining alfresco with views across the gardens, the pool area and the surrounding countryside including the Montseny Natural Park. 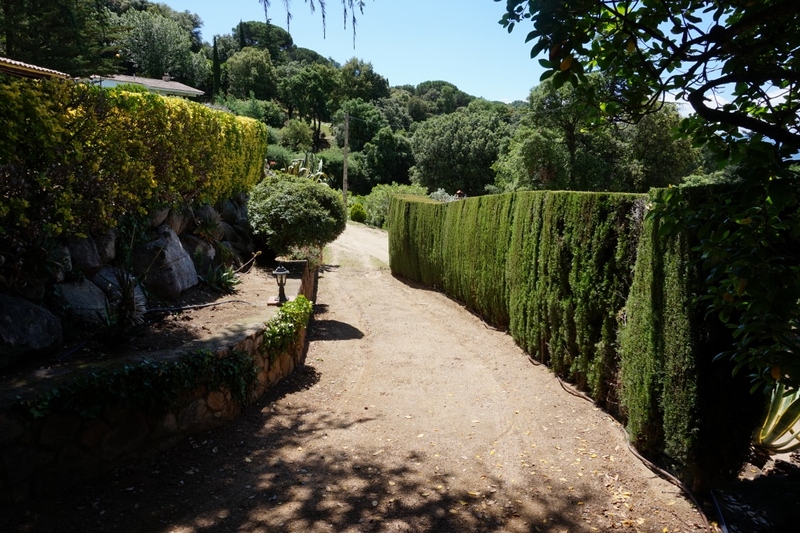 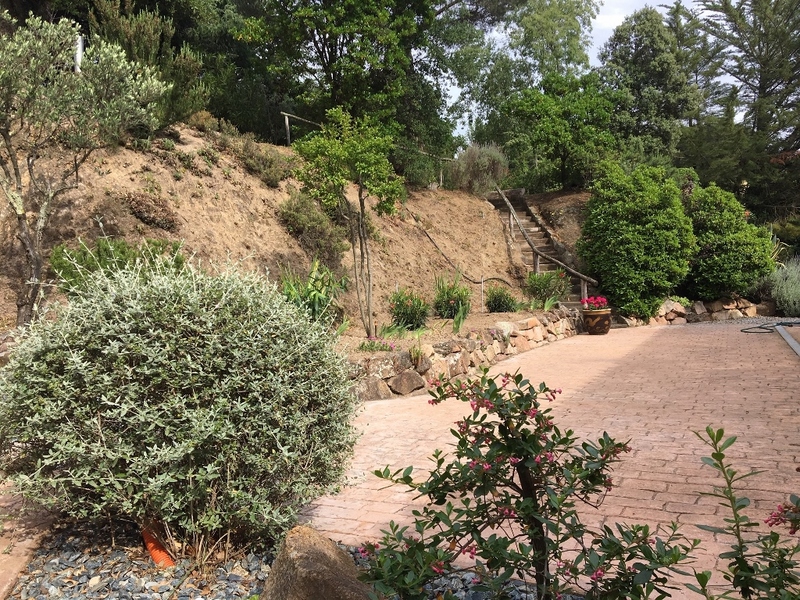 The gardens and outside spaces… the property sits within land of around 2,200M2 (half an acre) and comprises three levels with established flowering shrubs and trees, automatic watering system, exterior garden sink with cold water tap. 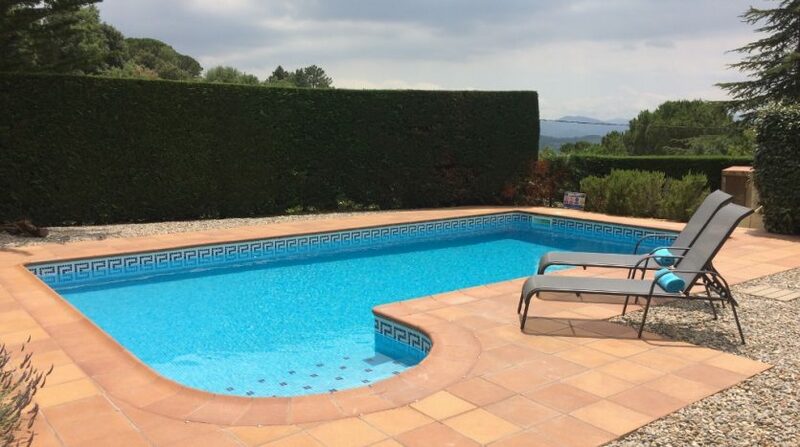 The pool area is exquisite – the pool itself is a salt water system, located at the side of the property and measures 8m x 4m with a depth of 1m to 1.5m with roman style steps. 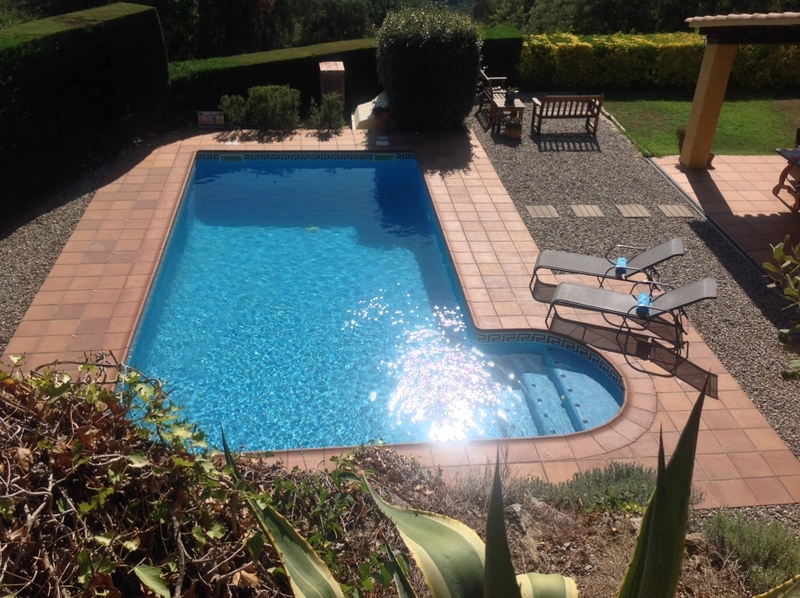 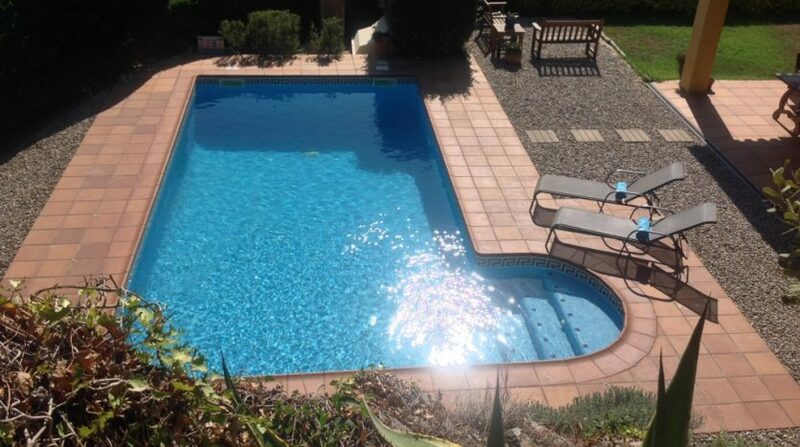 Breda terracotta tiles surround the pool with stone borders. 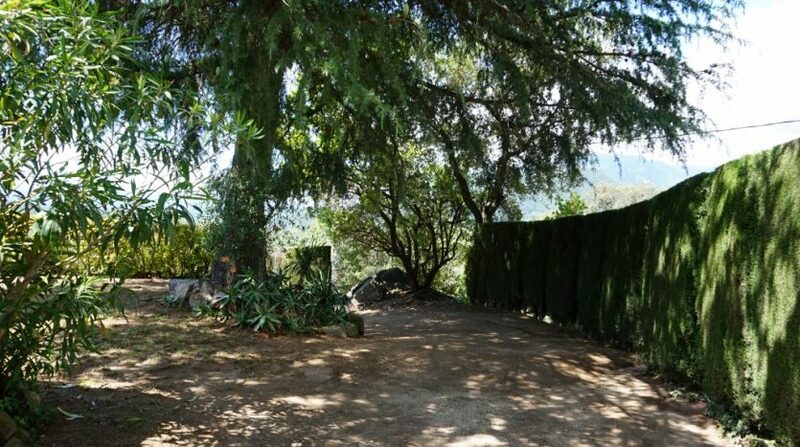 The views from this area are panoramic and the area is completely private. 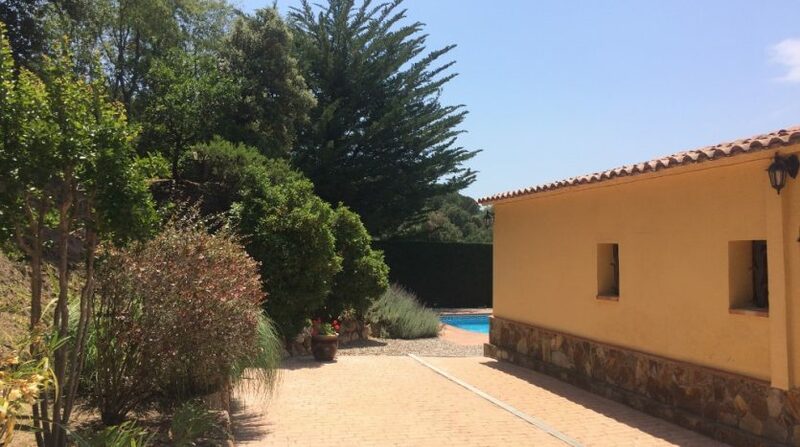 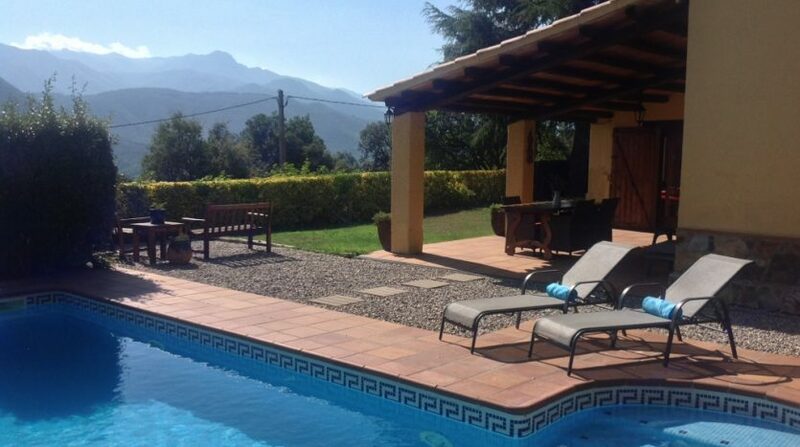 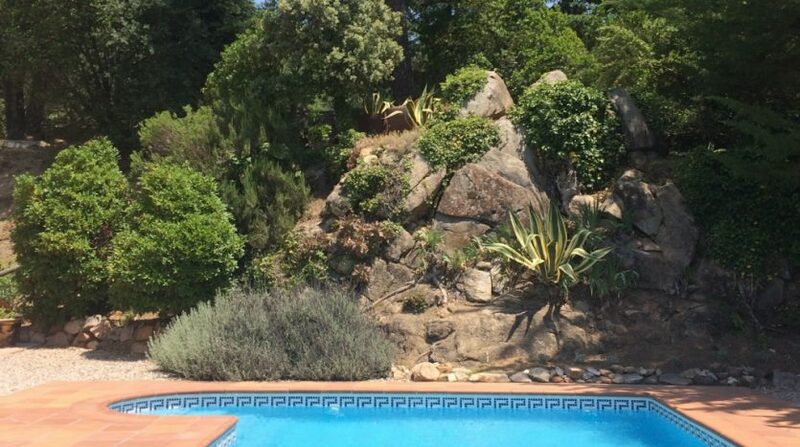 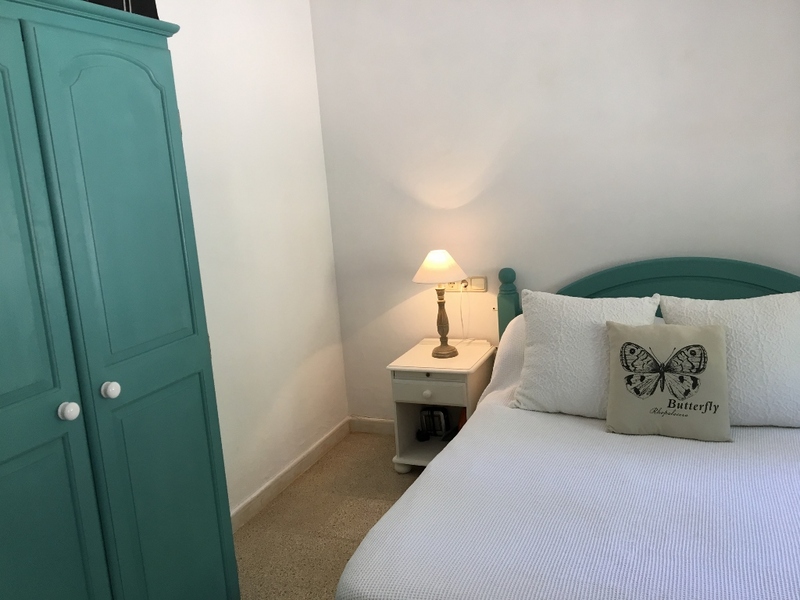 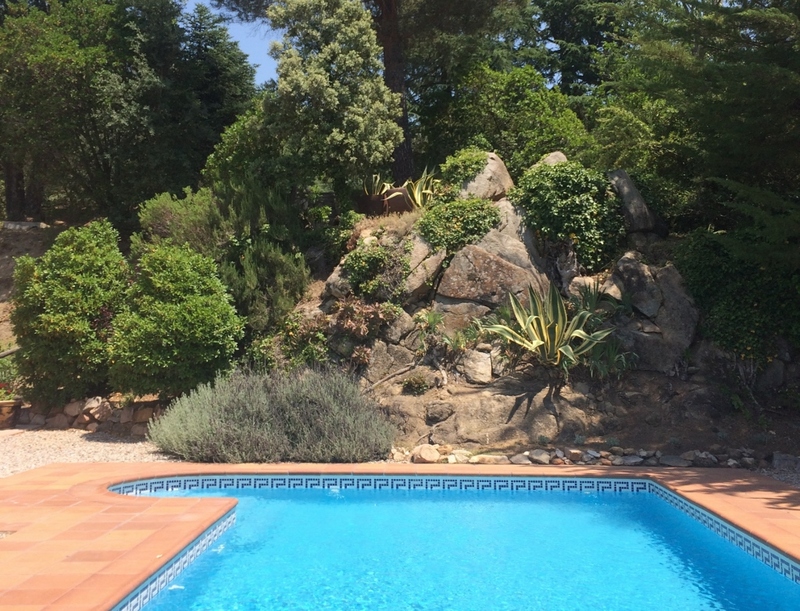 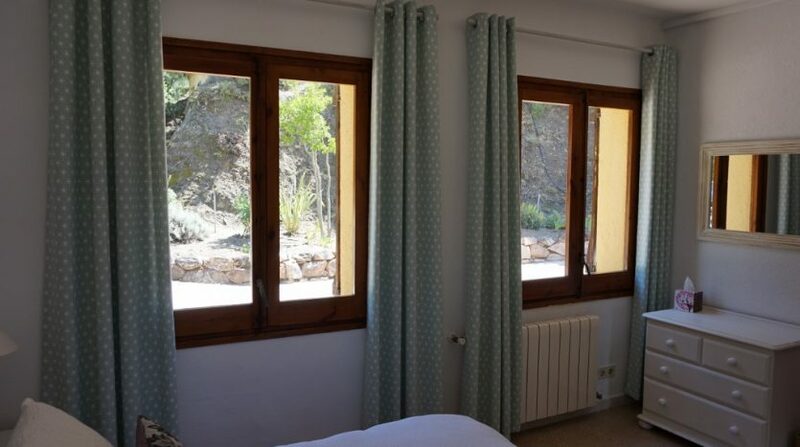 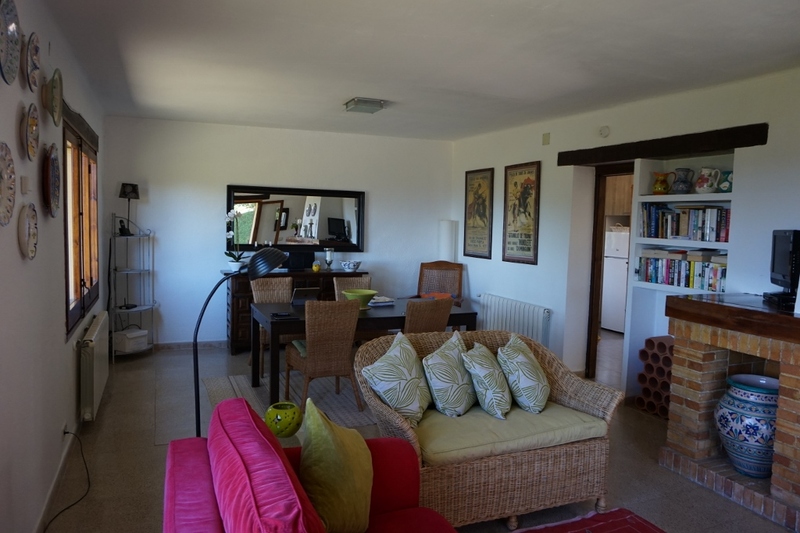 The house is ideally situated for Barcelona and Girona, (both are less than an hours drive away) or the coastal resorts of the Costa Brava and Costa Maresme. 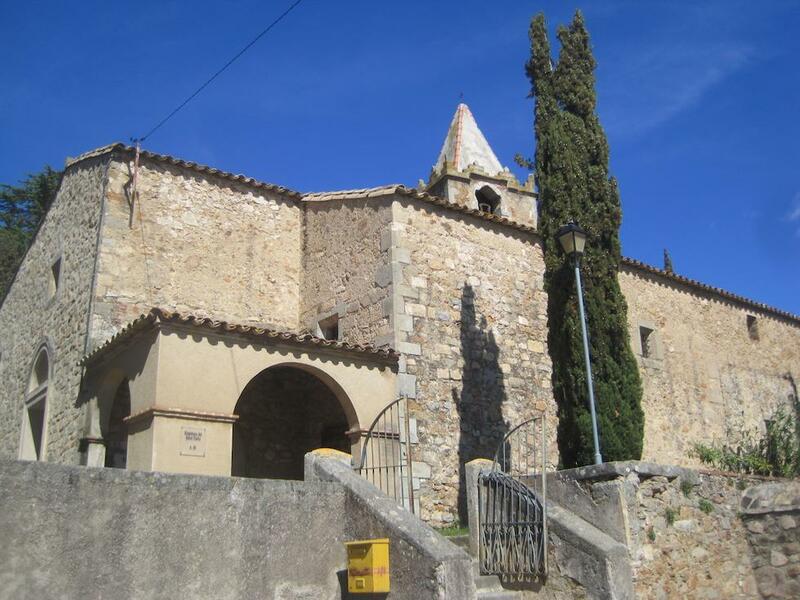 Near to hand are the spa towns of Arbucies, Viladrau and San Hilari with the historical castle town of Hostalric just a short drive away. 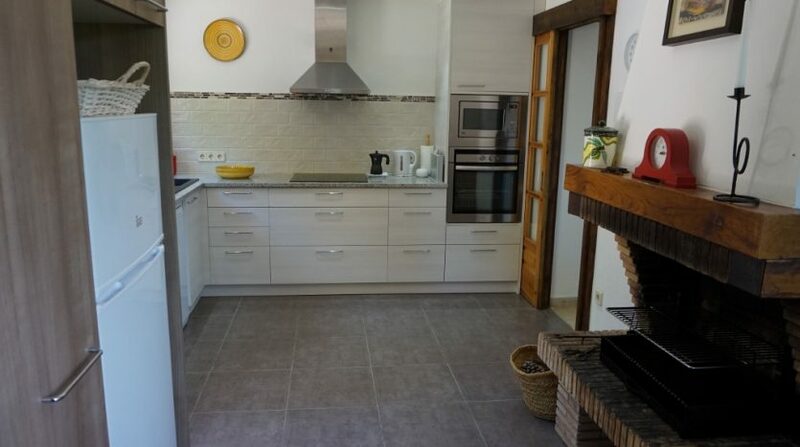 Supermarkets and a good selection of individual shops such as butchers, bakers etc are available in Hostalric and Arbucies, both within a 10/15min drive. 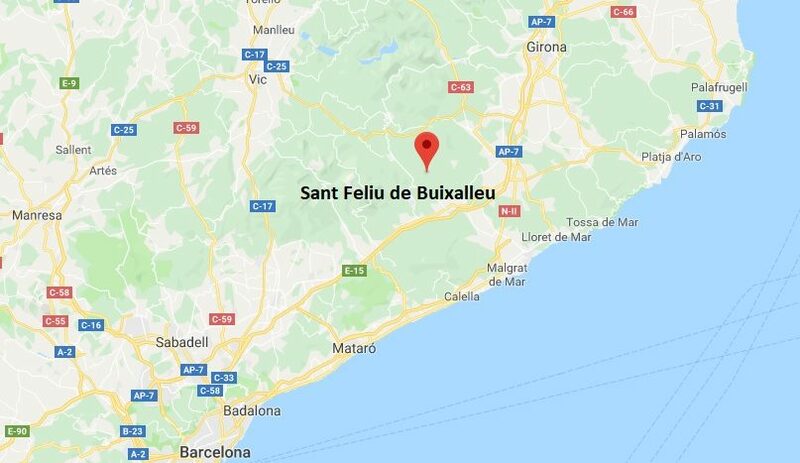 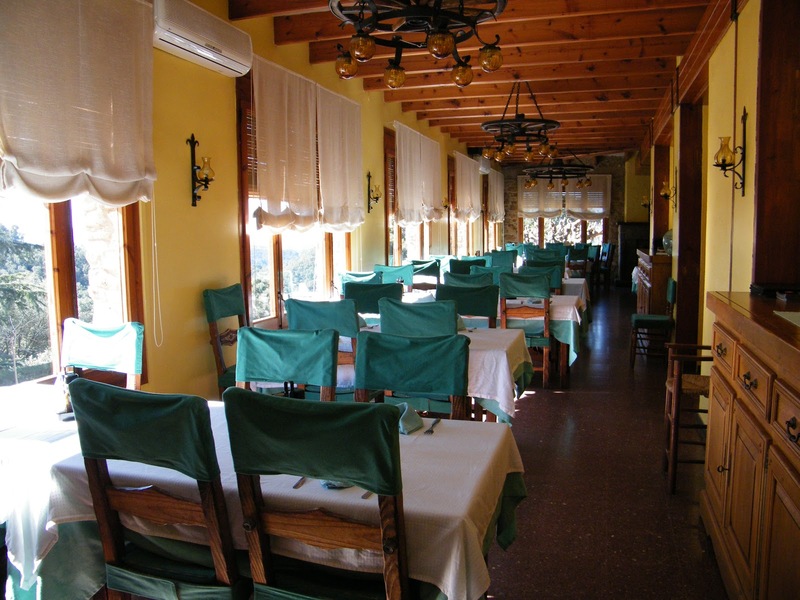 The small hamlet of Sant Feliu de Buixalleu also has the benefit of a popular restaurant serving traditional Catalan country cuisine. 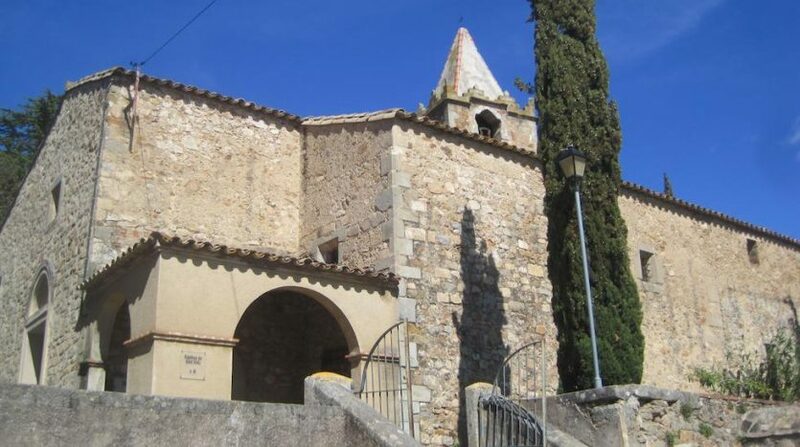 This is always busy with local residents and tourists who are visiting the church within the hamlet that dates back as far as the 11th Century. 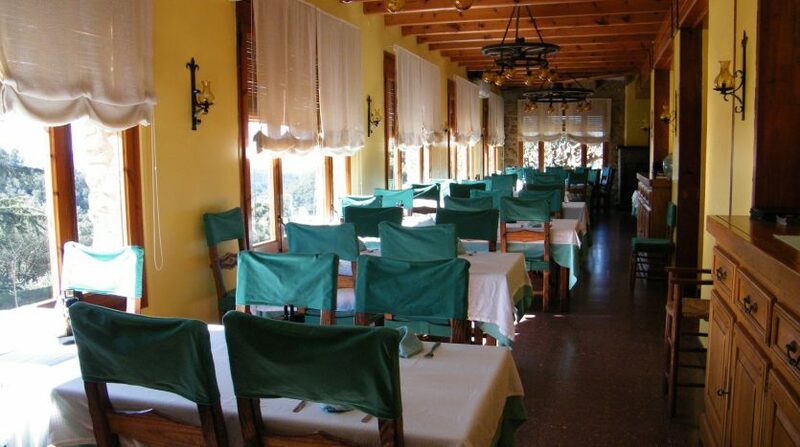 Arbucies is another local village which is becoming known for its restaurants, some of which are excellent quality including the Michelin star “Les Magnolies”. 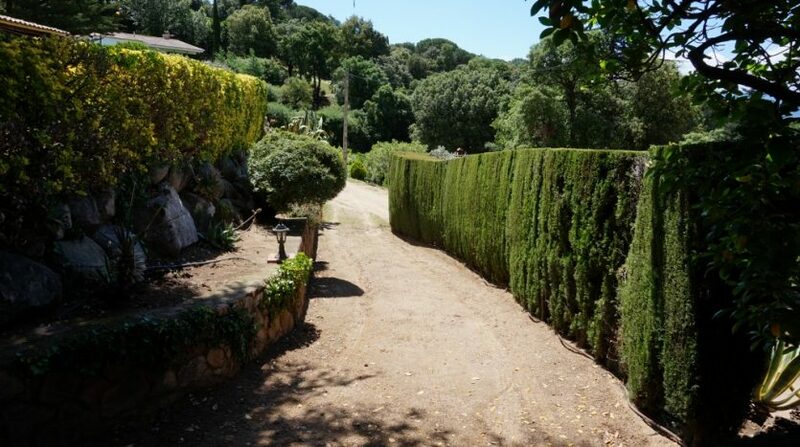 This delightful property is located within a glorious countryside location but, being within an established urbanization, it also benefits from the security of neighbours and an urban land status. 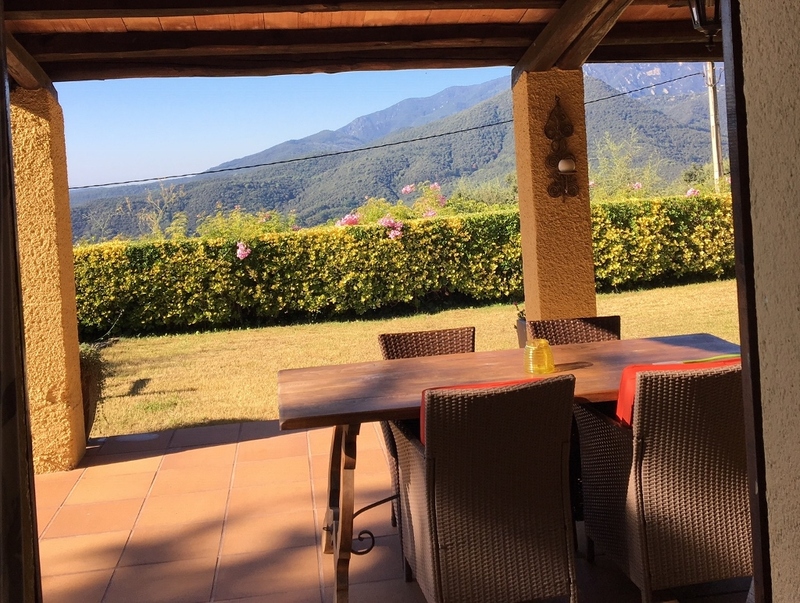 The house is beautifully presented and would make the perfect holiday home for those wanting to enjoy the best of both worlds – stunning views, peace and privacy with good access to the Costa Brava and Girona or Barcelona. 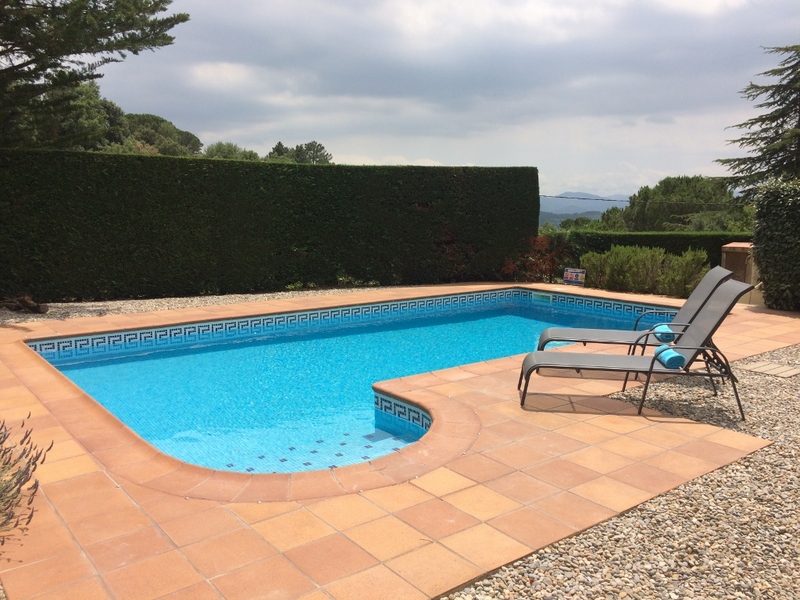 The current owners have thoroughly enjoyed the property and are now looking to pass it on to new owners who can enjoy for many years to come. 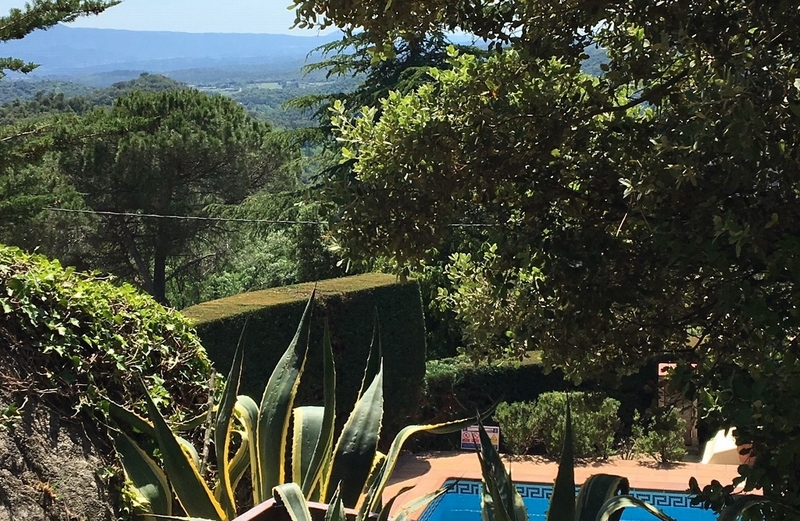 As they don’t live in the property year round, do give us as much notice as possible if you wish to view – we guarantee you will not be disappointed!